Leather gel is a leather-like fabric. This fabric features a "breathable" backing. It is made from scraps that are combined with polyurethane and sent into the face of the fabric for that high-end Italian leather feel and look. I recently purchased this sofa from the Monika collection and I am so pleased with my decision to so. 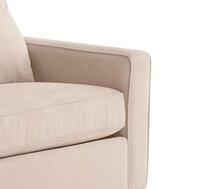 It is extremely comfortable and cosy and you just sink into the sofa as soon as you sit down. Even better, despite its comfort, the Monika sofa springs back into its original shape when you get up, so you don't have to spend hours plumping and rearranging cushions. 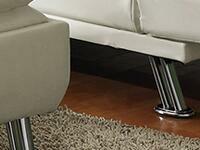 The design of the Monika sofa is modern and contemporary and it just oozes quality and sophistication. Great value for money and I'm extremely happy with my purchase from AppliancesConnection.com. Highly recommended! 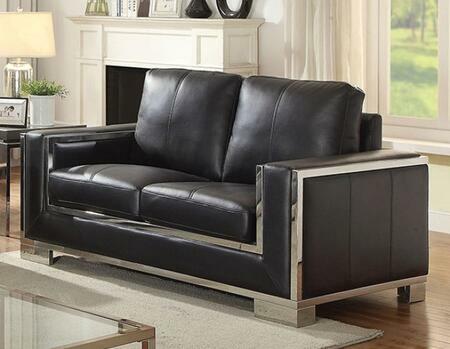 I just got my new sofa from the Monika Collection via Furniture of America. It was well packaged and received without damage.The sofa is comfortable and well worth the price...would recommend to a friend! This is just the sofa I was looking for! I bought the Monika sofa and it really tied the room together! I've had my Monika sofa for several years now, and I'm still as much in love with it as the day I got it! The sofa arrived in perfect condition and the deliverers were so professional in unloading it and moving it in. The process was quick, easy and thorough. So grateful!! I am absolutely in love with my new Furniture of America Monika Sofa! I purchased it online at AppliancesConnection.com It was so easy to order and it shipped fast. Then, when I got it and put it in my family room is when the love affair started! 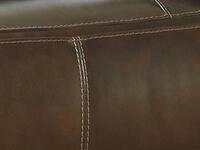 The Monika sofa is beautiful and comfortable. The design will go with so many different styles of decor. I could not ask for a better sofa! My girlfriend and I just purchased the Monika sofa and we could not be more pleased. The sofa is comfortable and fits our living room perfectly. It is exactly what we were looking for! My wife and I just received the Monika Collection sofa and we are thrilled with our purchase. We've made an effort to have a clean, modern and sophisticated theme in our living room and the sofa more than matches up with our needs. Quick delivery and great customer service too. Highly recommended. Wow, gotta say what great service, bought a sofa from Monika Collection, no problems at all, excellent customer service and fast delivery. 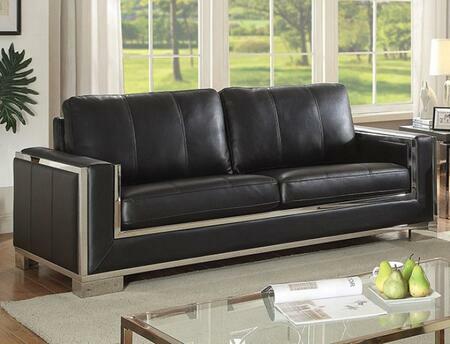 Over the weekend, I purchased the Monika Sofa from Furniture of America. I am in love with the sofa, and the staff was very helpful. Monika Collection's Sofa is absolutely gorgeous! My husband was a little nervous about purchasing it without seeing or feeling it beforehand but I persuaded him to give it a try. Best decision ever!